"I would like to understand how it is that, despite the fact you were aware of Sally Masterton's findings, you did not oversee a thorough investigation "
Kevin Hollinrake, co-Chair of the All-Party Parliamentary Group on Fair Business Banking, has written to the chief executive of Lloyds Banking Group regarding its handling of the HBOS fraud case. 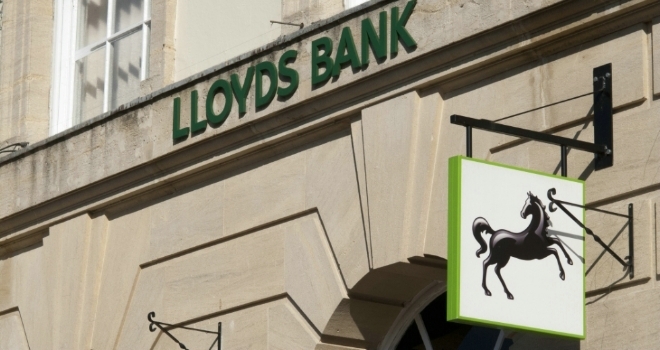 Last week, Lloyds reached a settlement with Sally Masterton, former senior risk officer who accused who accused former bosses of concealing fraud at the HBOS unit. In his letter to António Horta Osório, Hollinrake says it is "abundantly clear from the evidence we hold that you were made aware of the existence of a fraud as early as 2011". Hollinrake asked: "I would like to understand how it is that, despite the fact you were aware of Sally Masterton's findings, you did not oversee a thorough investigation of the allegations of the "concealment of the Reading Incident" within your own organisation." Hollinrake said that instead, Lloyds "first suspended and the dismissed her, sought to discredit her and knowingly prevented her from assisting the police". The bank has maintained publicly that they had seen 'no evidence of criminality' prior to the criminal convictions in 2017. However Hollinrake pointed to a number of letters sent to Osório as early as 2011, when he first joined the group, which covered a 'detailed breakdown of the fraud'. Hollinrake said the APPG's concerns "relate to the allegations of the cover-up of the fraud rather than the fraud itself". He told Osório he will now write to the FCA, asking them to open an investigation under the new Senior Managers and Certification Regime. The regime aims to strengthen market integrity by making individuals more accountable for their conduct and competence. As part of this, staff are required to take personal responsibility for their actions and firms and staff must clearly understand and can demonstrate where responsibility lies. In a press statement released last week, Lloyds said: "The Group recognises that Mrs Masterton, who was a senior risk officer in the Group, acted with integrity and in good faith at all times in assisting the Thames Valley Police investigation and in raising her concerns with the Group. We confirm that Mrs Masterton's concerns were documented following a request from the Group that she set out her concerns in writing. "The Project Lord Turnbull Report was provided to the regulator and the police in 2014. It has also been provided to Dame Linda Dobbs, a retired High Court judge appointed by the Board of Lloyds Banking Group to consider whether the issues regarding HBOS Reading were investigated and appropriately reported to the authorities at the time by Lloyds Banking Group, following its acquisition of HBOS in 2009. "The concerns Mrs Masterton raised with the Group, culminating in the Project Lord Turnbull Report, and the Group’s handling of those concerns, are important matters which Dame Linda will be considering. "Mrs Masterton agrees with us that Dame Linda Dobbs’ review is the appropriate forum for considering matters in relation to the "Project Lord Turnbull Report", together with any investigation or enquiry by the FCA."